The globe valve is used for throttling flow control. Shut off is accomplished by moving the disc against the flow stream rather than across it as in the case with a gate valve. The flow pattern through a globe valve involves changes in direction, resulting in greater resistance to flow, causing high pressure drop. The globe valve are linear motion valves used to stop, start, and regulate the fluid flow. The globe valve disk can be removed entirely from the flow path, or it can completely close the flow path. During opening and closing of globe valve, disc moves perpendicularly to the seat. This movement creates the annular space between the disk and seat ring that gradually close as the valve closed. This characteristic provides the globe valve good throttling ability required for regulating the flow. Leakage from globe valve seat is less as compared to the gate valve, mainly due to right angle contact between the disk and seat ring, which allows tighter seal between seat the disk. 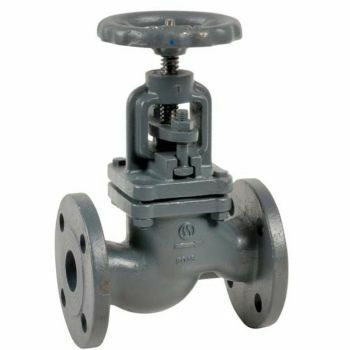 The globe valve for steam and high temperature has a rising rotating stem and handwheel. 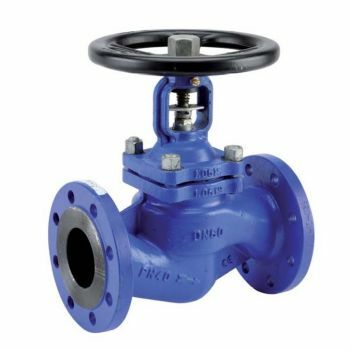 The offered cast iron globe valve is recommended for service in commercial and industrial applications, including hot and cold water, HVAC, steam, compressed air, gas and other general utility services. 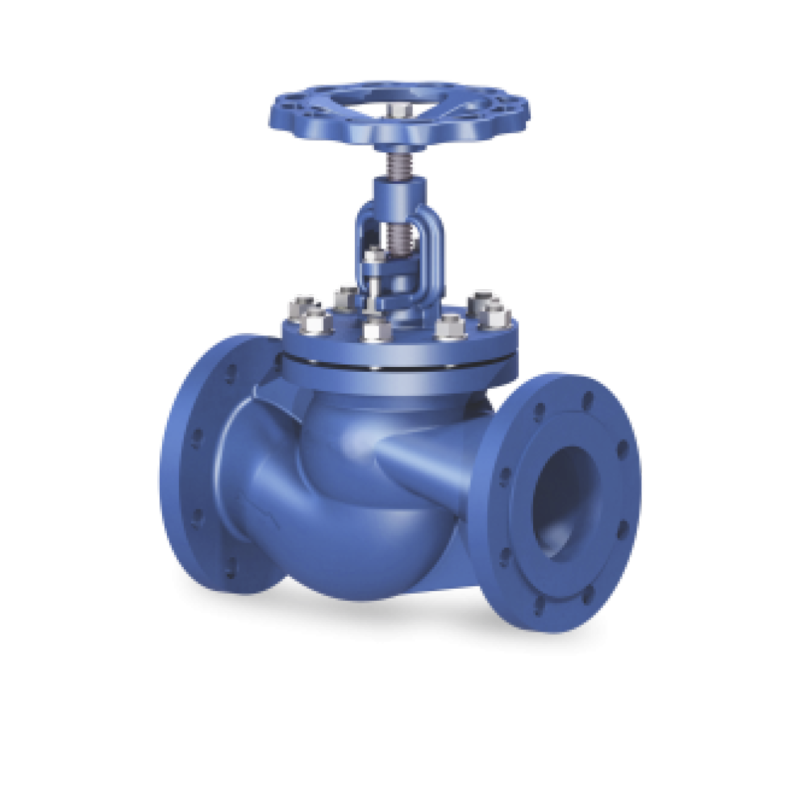 Globe valves are recommended for throttling or r.. This globe valve has a body made of cast iron GG25 and a stainless seat. It's suitable for water and not recommended to use with steam. The globe valve for water has aRising rotating stem and handwheel. The cast iron globe valve is used often in applications like Heating, water distribution and water at Min and max Temperatures betwe.. 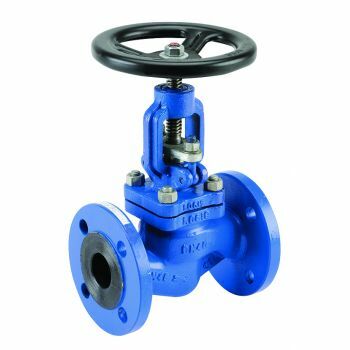 The carbon steel globe valve for steam and high temperature has a rising rotating stem and handwheel. The globe valve of this type s recommended for service with hydrocarbons, steam and other high temperaure fluids. 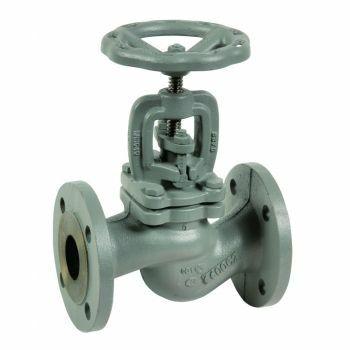 The carbon steel globe valve’s stem and seat is made from stainless steel. It follows the flow direction indicate.. The carbon steel globe valve with bellow seal is designed for use with steam and high temperature has a non-rising rotating stem and handwheel. The bellow seal globe valve is operated as an obstruction between fluids and the air. At the same time, the valve can prevent fluids leaking to the air and guarantee zero leakage of pipelines. Th.. The Ductile iron globe valve with bellow has a bellow seal which is designed for use with steam and high temperature has a non-rising rotating stem and handwheel. The bellow valve works on the same principal as the globe valve, but its tightness towards the exterior is ensured by a bellow rather than a packing gland. It can be used o..